Overview… a scientist’s assistant living and working at the Frankenstein estate in Transylvania. 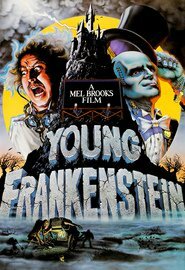 When the Baron Beauvort von Frankenstein dies, his great-grandson Dr. Frederick Frankenstein moves to the mansion. Inga begins assisting and falling for Frederick as they partake in many intellectual discussions. Personality… dedicated, gorgeous, and always ready for a roll in “ze hay.” Inga is everything a young scientist like Dr. Frankenstein could hope for in an assistant. Together, they’re bound to create something – or someone – great. Inga's popularity ranking on CharacTour is #2940 out of 5,000+ characters. See our top-ranked characters and read their profiles.